Spending the Thanksgiving holiday with family on the west coast of Florida is always a joy. While on vacation, I try to venture out at least once a day to observe various wildlife and sea life. Many beautiful birds can be spotted where we reside on Longboat Key, as well as in the city of Sarasota and its surrounding suburbs. When visiting on Longboat Key, two of my favorite areas to view birds are Quick Point Nature Preserve and Joan M. Durante Park. 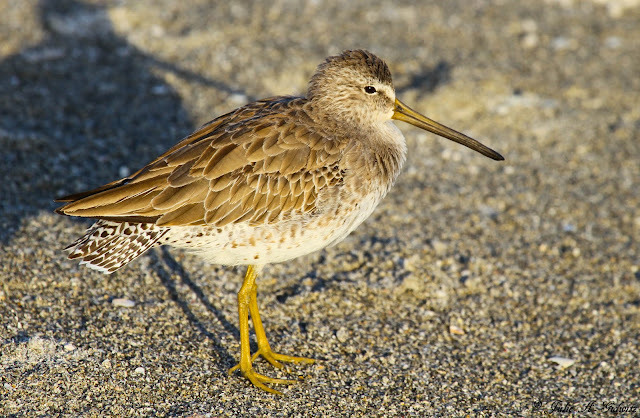 The beaches along the key and Sarasota Bay are rich with avian life, as well. 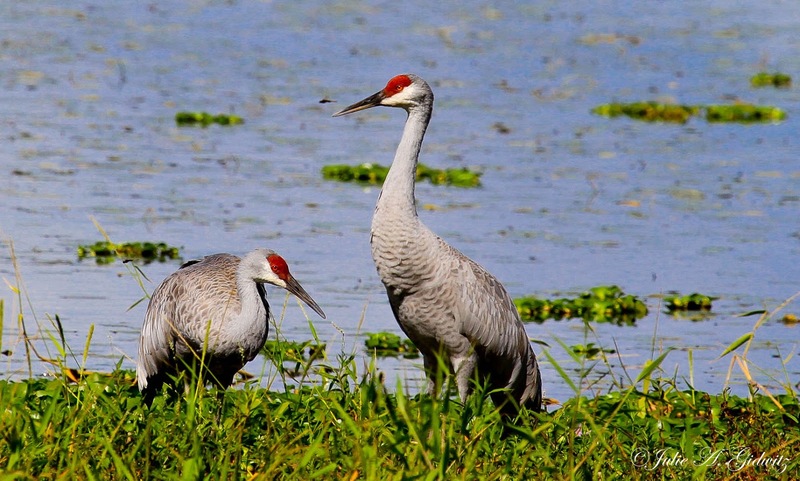 When traveling off the island, Celery Fields and Myakka River State Park are glorious destinations to see a variety of birds. This year's vacation highlights include viewing five new birds to add to my life list. A few that I listed were two Northern Harriers, a Limpkin, and thanks to my very observant, handsome husband, a Northern Gannet. 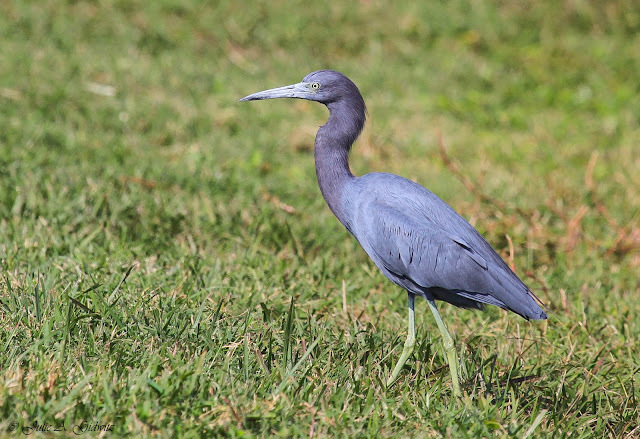 While at Celery Fields, we were treated to observe a pond filled to the brim with hundreds of various herons, egrets, ibises and Wood Storks plucking fish continually from the shallows. Bruce and I stood, mouths agape while the birds casually waded in the dark water. A Bald Eagle, two Ospreys and five White Pelicans soared effortlessly aloft. 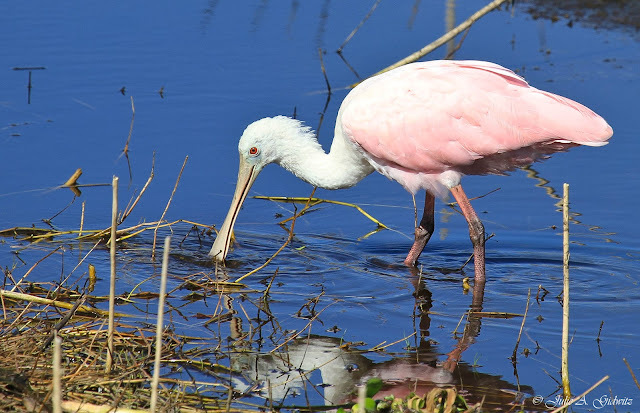 I was giddy with delight when we took in the beauty of at least forty Roseate Spoonbills seen across the lake from the bird walk at Myakka River State Park. 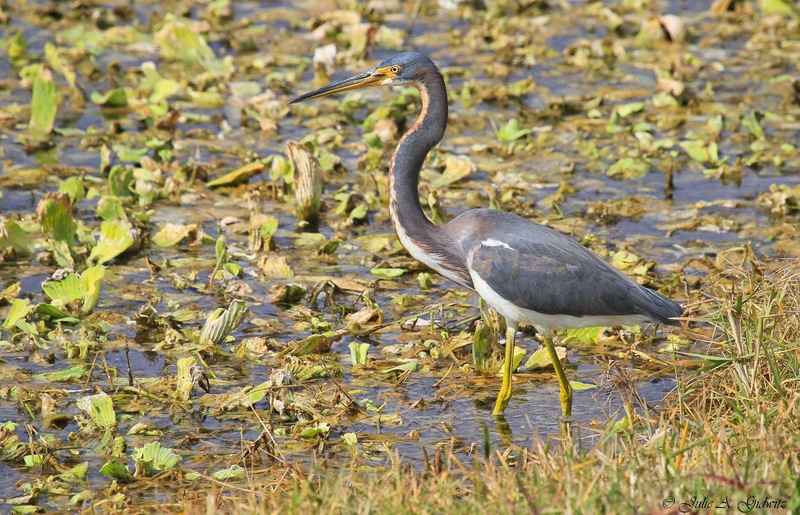 We also enjoyed watching several furtive American Alligators and mud wallowing Wild Hogs. One of our favorite experiences was coming across three feeding Manta Ray pups gliding swiftly back and forth, mouths agape, wings rippling at the surface and only inches from our toes. These seemingly carefree, acrobatic rays were seen while taking a leisurely stroll on the beach. We even saw one of the pups break the surface and soar through the air! Back to the birds! 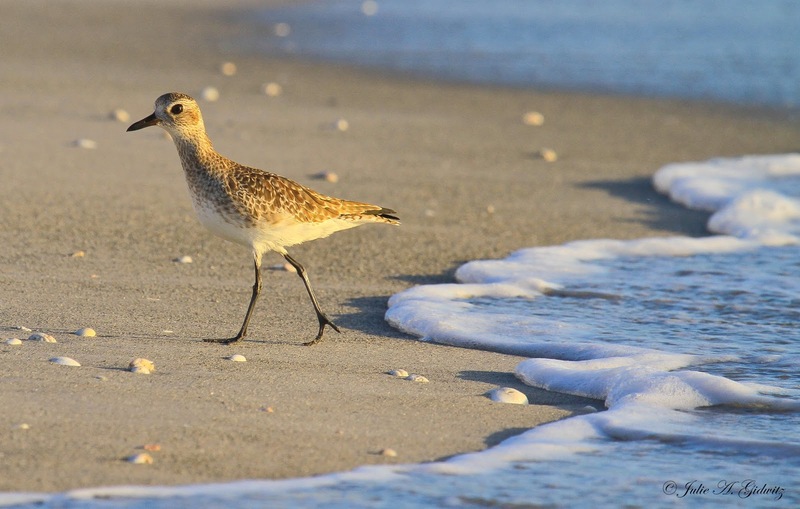 This post features several lovely birds seen while vacationing in Florida. 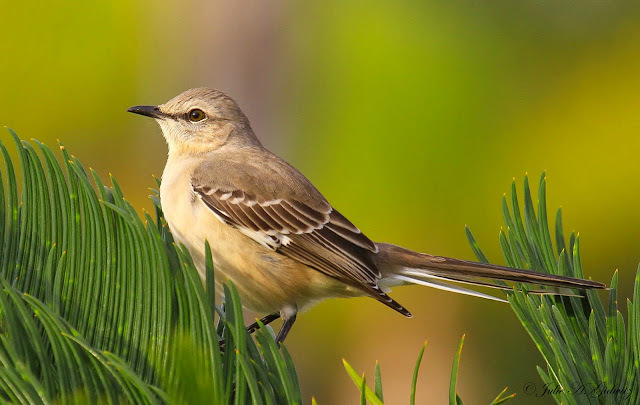 Julie, beautiful images of all the birds. Thanks for sharing your Sarasota vacation. I would like to visit there to do some birding. Have a happy Sunday! 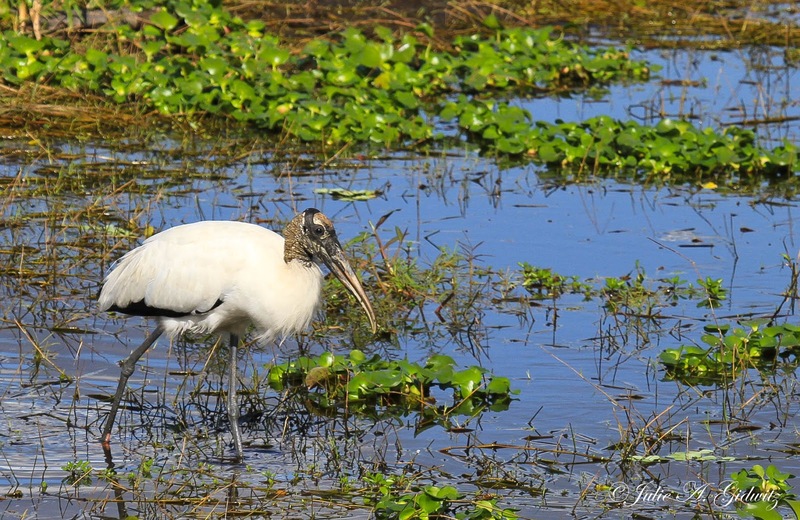 Julie, these are wonderful images, so glad you had a marvelous time in Florida! Loved the beautiful photos. We may go to Florida in Feb. and I will have to make a point of doing some bird watching! 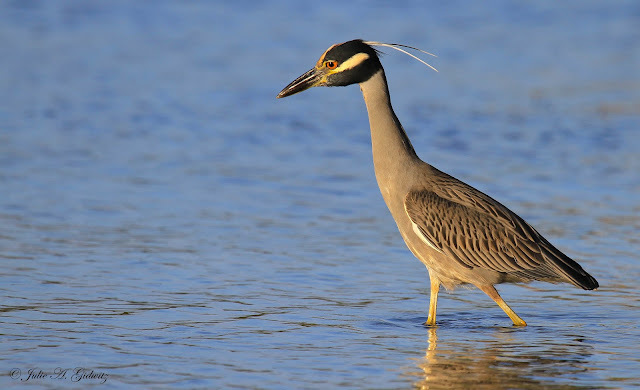 Great bird photos, absolute top photos. Beautiful photography and great birds. Four of the birds mentioned or pictured would be life birds for me. I gotta get myself to Florida! Exquisite photography as always Julie, what a beautiful work you've created! Wonderful post, Julie, and extraordinary images! Thanks Bruce for posting the wonderful images and words of your Julie. Gorgeous photography, love it Julie. Fantastic shots, Julie! Sarasota is a beautiful area. Wow! 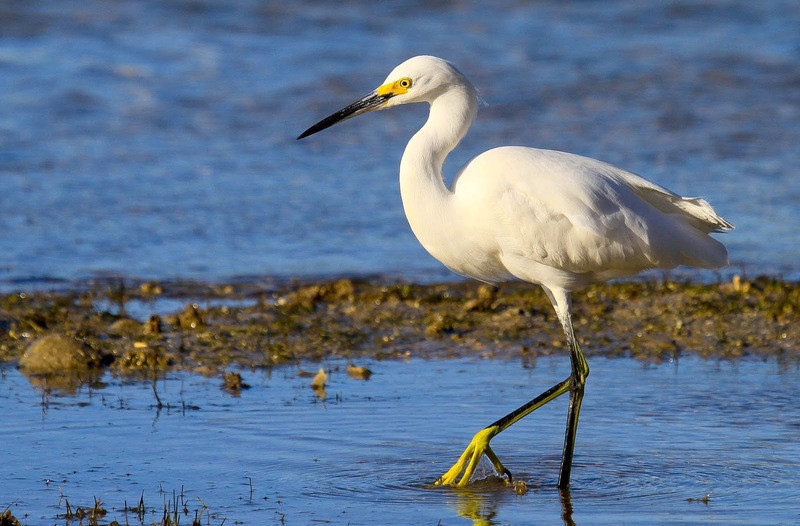 Would have loved to be at Celery Fields with you! Fabulous shots, as always! Incredible photos each and every one! Beautiful post Julie, you sure have a way of capturing the beauty of birds.